Do you practically live in your car? Are you constantly driving kids to and from school and after school activities? 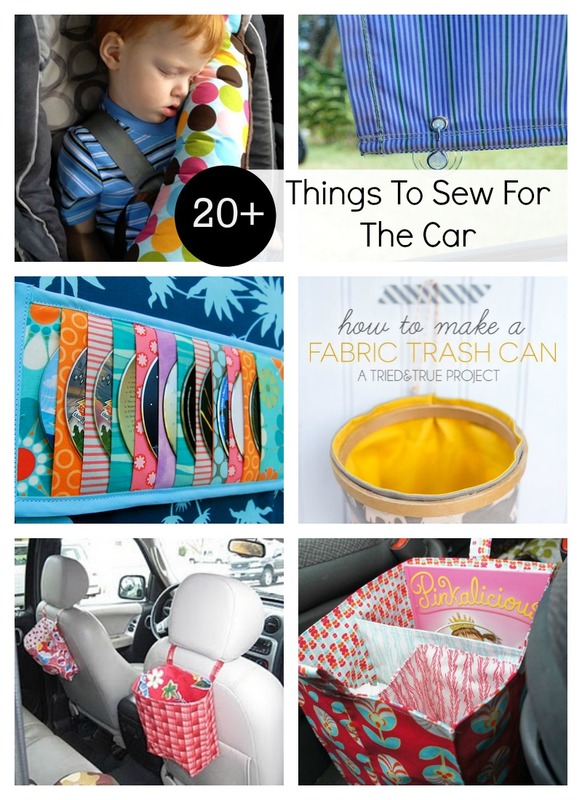 Then you you’ll love this round up of over 20 tutorials for things to sew for the car. Whether you want to stay organized for the daily grind or have a long road trip planned, these free patterns and tutorials will be the perfect way to keep the car (and your family) in order.